Thailand is a kingdom, which is a part of Southeast Asia. Breathtaking nature is one of the main commodities in this beautiful country. Besides nature this country offers a rich history over 1000 old. We will get to Thailand from the kingdom of Cambodia over land, thanks to the close distance of both countries. Travelling in Thailand will be very interesting experience for us. We would like to visit many attractions in Thailand. One of them for instance is the city of Surrat where we plan to visit the local elephant orphanage. 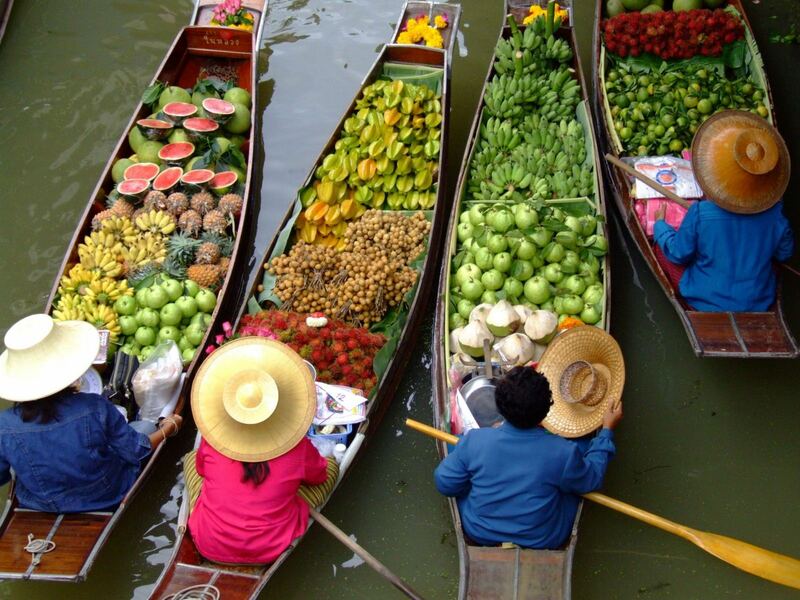 Thai cuisine is a great commodity of this town thanks to the local traditional market with all kinds of fruits, vegetables and meat. However the main goal there will be to experience the atmosphere of the Asian markets and haggle over prices. Among the other attractions in Thailand and in Surrat we may include local sanctuaries. We are going to chance on them quite often in Thailand. More than 90% of population are Buddhists. The next interesting destination in Thailand is without doubts Krabi. The region surrounded by this town is very famous with scuba-diving fans and for people looking for peace of mind. This is the place where everyone can find picturesque movie beaches with crystal clear water and a great standard of services. Worth mentioning is also Phi Phi Islands in this location. This island which was hit by the tsunami in 2004 is a jewel in the ocean. You can find there many movie locations, for instance from The Beach beach starring Leonardo DiCaprio. Every long-term vacation in Thailand must include this stop. Who loves nature and preferes quieter holiday he should go to Koh Lanta island. 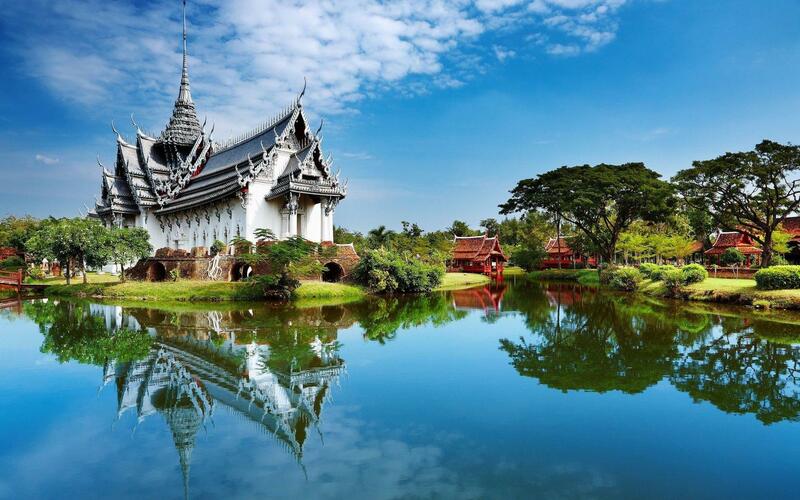 Other attractions in Thailand are the spectacular temples decorated with gold and mosaics. Their names have usually include the term ‘Wat’. It is a combination of a monastery and a temple. We are going to visit many many temples and of course we are going to share our experiences with you. Phi Phi is not the only island in Thailand we intend to visit. We cannot wait to visit Koh Tao, Koh Phangan & Koh Samui. We also decided to include Phuket in our itinerary. And the base for travelling around the island is Phuket City – the center of all the latest happenings. We will visit several places there. Many sources recommend to visit Flying Hanuman which is quite an adrenaline matter because you can fly from tree to tree via ziplines. And after some sport fun we want to soothe our minds in the local temples and later go to the center that takes care of tigers. We should not leave out the most visited place, the capital city of Thailand. Bangkok is like New York, the city that never sleeps. However in comparison with its American counterpart it is not so developed. On the other hand this is not the reason why people come here. Attractions in Thailand are everywhere on every street corner and the same applies for Bangkok. If you want to see as many Wat temples as possible then Bangkok is definitely the right place to go in Thailand for you. Or better hit might be Ayutthaya, ancient capital city of the Kingdom of Siam located only 90 minutes from Bangkok. Travelling in Thailandis an adventure in itself. The way that Thailand sometimes may give a weird impression that its infrastructure is in good a condition. Thailand can be travelled over by air, dry land or water. And whoever has plenty of time should supposedly travel in Thailand by train. Transportation in Thailand is very well organized according to the information we have collected. Personally we are going to try all the different ways of transportation in Thailand except by air. We want to meet local people, experience the habits and the atmosphere, therefore we would like to travel slowly and also trythe famous taxi service called Tuk Tuk. Thailand and the Indochina region in general is part of our trip around the world we are looking forward a lot. Keep watching our blog where we willbring you our best moments from our round the world trip. And if you are not tired of this type of travelling, follow the info about our next destionation which is Malaysia. ยินดีต้อนรับสู่ประเทศไทย! Yindī t̂xnrạb s̄ū̀ pratheṣ̄thịy!Welcome to Thailand! !